Third District Supervisor Doreen Farr talks Isla Vista self-governance at the Coffee Collboarative. Farr reflects on the past dissolution of I.V. 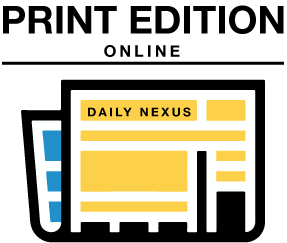 as a Redevelopment Agency Area as well as current self-governance ideas for I.V. such as a Community Services District (CSD) and a Municipal Advisory Council (MAC). Santa Barbara County Third District Supervisor Doreen Farr held her first office-hours-style open meeting of the new school year last Thursday from 1 to 3 p.m. at the Coffee Collaborative in Isla Vista. 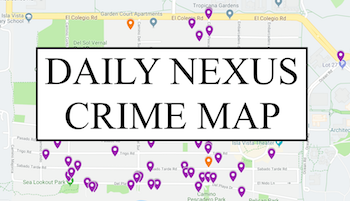 The Daily Nexus sat down with Supervisor Farr for a few minutes to talk with her about her current thoughts on Isla Vista. She has been holding these meetings at least once a month since 2009 to talk with members of the Isla Vista community and listen to their concerns. Farr represents Isla Vista as well as Santa Ynez and Goleta on the board of supervisors. With talks of a potential new form of governance in Isla Vista becoming more common, Farr said she has been working to reach a consensus between the residents of Isla Vista and the county. Q: Can you give me your thoughts on the recent Oct. 7th town hall meeting? A: That was the second in what looks like will be at least three community meetings to do with governance. There was one in Aug. that was very well attended considering that school wasn’t in session and it was the middle of the summer, and then very well attended again on Tuesday night, and there’s another one that is proposed perhaps for the middle of Nov. with the goal of finding a consensus among the community, first of all, if they would like to change the status quo … Is it a municipal advisory committee, advisory to the board of supervisors, is it more of a self-governance mode? It looks like now there’s a fair amount of support for a community services district, which would be something like Isla Vista parks and rec district, except it would have more power than that. That’s kind of what we’re looking at right now. Q; With the town hall meeting, did you feel that Isla Vista and the county moved closer to a new form of governance? Are there a lot of different opinions going back and forth? A: Well, I think there has been a diversity of opinion, but it does seem to be coalescing … more towards a community services district idea, and so I think that that is good. There are a lot of people … that think that maybe the next best step is more of an advisory body to the board of supervisors, so I think that’s probably where the discussion is going to find a balance in the coming weeks … Isla Vista is a very diverse community, it has challenges that are unique in the county because of the density, because of the demographics — primarily young people, students — but there are families here, there are residents that have lived here for many years that are in the minority. We don’t want to forget about what their needs and concerns are as well … I think the big challenge is: what is the sustainable funding source and what does that look like to maintain what is already here? And to make additional improvements that the community wants. The sustainable funding and the governance are kind of tied. Q: As a supervisor, do you see the county’s relationship with I.V. changing, or staying the same? What do you see happening, and what are the thoughts of the rest of the board of supervisors? A: Two of the other four supervisors are UCSB graduates and lived in Isla Vista … they are very interested and concerned also about what happens in the community … All five of us on the board share responsibility for the entire county and what happens in each other’s districts. I’ve been very fortunate to have the support of all of the supervisors when I have come to the board with specific requests to assist the community. For example, Isla Vista was a redevelopment agency area and that was what was providing a really good funding stream for a long time. When the governor dissolved all of the redevelopment areas it has really left us in a situation of [wondering] how do we move forward with funding? One of the things that happened was that public works was right in the middle of this big improvement project at El Embarcadero, and it was literally stopped right in the middle when they didn’t have RDA money. So I went to the board during budget and said “I need a million dollars to finish this project, it’s not even safe the way it is,” and that had to be taken out of the general fund, and we didn’t have a lot of money but the board supported it. Q: You hold this open discussion once a month, correct? A: I’m here at least once a month, but as other things come up I’m here more often. I was here Tuesday night, I’ll be here tonight, there are other meetings that are going on that have to do with Isla Vista. The District Attorney called a meeting to talk about Isla Vista, the UCSB trustees have been working on a series of reports that they’re going to be publishing here probably later this month, there have been meetings to do with that. I meet all the time with various county departments to deal with the daily needs of Isla Vista … Isla Vista is a very important part of my district, and we spend a lot of time here so that we know the community and we can represent it. Q: Where did the idea for an open office-hours-style meeting come from? Q: What do you think the biggest hurdle for I.V. is? Is it self-governance or the county governing? What do you think the biggest obstacle is right now in moving forward? A: The community is very bright, very passionate, very committed, but you’re not here very long. The very nature of the community is transitory … and that makes it a real challenge for any kind of local governance … when you look back at the history of it [the IVRDA], probably 90 percent of the people that have served haven’t been able to serve more than two years of a four year term. The representatives are really great while they’re here, but there’s a challenge with the institutional memory … I know that’s a real concern for the long-time residents, the people that do live here want decisions made by a body that is not going to be constantly changing. Q: What is the best way to fix that problem, in which there are constantly people cycling in and out of those positions, in a college town where the people representing I.V. aren’t here very long? What could be done to still include college students in that process and people that live here briefly, but have more consistency?